ZWAVE home automation not only allows you to control products and appliances from within your home but anywhere in the world you have internet access. The VeraPlus ZWAVE Gateway is an excellent introduction into home automation. 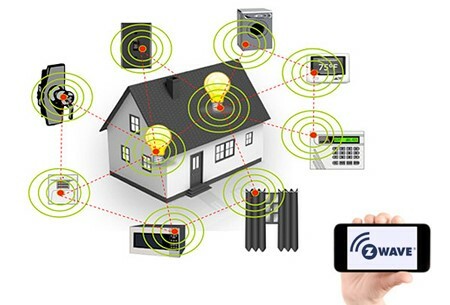 With the ability to connect 220 devices(can be extended) at the same time you have the capacity to continue to build your home automation network for years to come. We put the convenience, freedom, and peace of mind that a smart home provides, right in the palm of your hand. You can view and manage your home using your smartphone, tablet, or computer from the comfort of your couch, or from halfway around the world! Check out the LS8015 ZWave door lock in action in the below video. Keep your VeraPlus ZWAVE app secure with a access pin code/fingerprint. Geofencing notifies the VeraPlus that your approaching home and to trigger a scene if one has been configured. ZWave operates on a low radio frequency (921.42 in Australia and New Zealand) which means no interference from other wireless devices in your home automation system, while its device encryption also ensures no interference from nearby ZWave systems. ZWave devices are not only able to communicate with the home controller but also any nearby devices in the network. They are also capable of forwarding commands from the home controller to neighboring devices, effectively increasing the range of your home automation network and assuring its responsiveness is not only fast but also reliable. You don’t have to build your entire home automation system in one go. You can add new devices to your ZWave network whenever you wish allowing you to tailor your system to your ever-changing needs. ZWave is designed not only to conserve power to ensure that it lasts as long as possible but also to warn you when it is time to replace the batteries in your devices ensuring that your system always functions as it is supposed to. Not only does ZWave allow you to remotely monitor and control your home it also allows you to create unlimited scenarios to enhance your way of life. You can automatically switch on your sirens when an alarm is triggered or turn off your child’s night lamp when they fall asleep. The list is endless…home automation at it’s most convenient! Unlike expensive home automation systems that require special wiring and professional installation ZWave uses secure wireless technology to communicate between devices. This makes it easier, quicker and cheaper to assemble. These systems are very user friendly to install but if you need assistance to install your devices please don’t hesitate to contact us on tel:1300 873 539. Click here to BUY NOW!